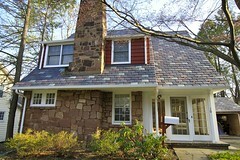 Have you been searching for an honest and reputable Monroe NJ area roofer? If so, it’s always better to go with a Monroe local roofer than one located outside of your area. Not only is it easier to verify the reputation of a local company than a remote one by talking to friends and acquaintances, they’ll also be far more knowledgeable about local codes that could affect your project. 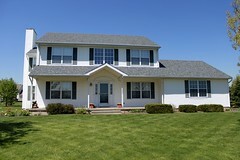 Below are some more reasons to choose a Monroe local roofer. You should be doing things like checking out finished projects of your prospective Monroe local roofer to see the quality of their workmanship for yourself. While speaking to previous customers is also a smart step to take, it might not be enough. Some roofers may only refer you to customers who were pleased with their work. When you go local, you can easily see for yourself the quality of the work. Considering the importance of your roof in keeping your home safe from the elements, it must be installed to the highest standards. Building codes vary from city to city, so it’s imperative to hire a Monroe local roofer that is well versed in the codes of your specific area to ensure your home complies with the latest requirements. The weather is an important factor to consider when choosing a product and carrying out the installation. If you hire a contractor who’s clueless about the climatic quirks you normally experience, you may pay for it later. 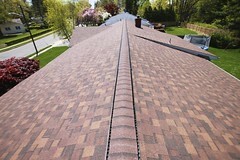 A Monroe local roofer will be able to suggest the most climate-suitable product for your region. Plus, they can plan your project well to prevent inclement weather from stalling the job. If you hire a roofing contractor that regularly operates from remote places, you might have to wait for days to get prioritized for repairs. Going local is far more convenient. 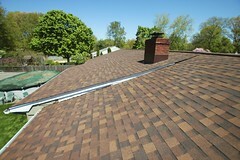 Looking for an Excellent Monroe Local Roofer?